When I make a resolution, I use a strategy for success that works every time. It enables me to live my life without the fear of consequences or failure. Before I commit to a resolution, I ensure it is achievable. If so, I make a detailed plan and take action every day. This way I can be sure of success with all my resolutions. If I want to make a resolution for something that takes further education or skills, I research how I can make this possible, and then take action. After careful planning and clearly defining tasks, it’s critical to take action. When I focus on implementation, I am continually making progress. It reminds me of the joke about the man who prayed and prayed to win the lottery. One day he received an answer back, "Do me a favor. Buy a ticket!" So I make it a point to take appropriate action every day to facilitate my resolution. Without action, nothing happens! With action, everything is possible! If my resolution involves things like eliminating bad habits or initiating good ones, I invoke the power of positive affirmations and self-talk to help me make the right choices. I constantly remind myself about my strong desires for change. Doing so enables me to fight temptation and make smarter decisions. Today I intend to better myself by creating a plan for success with a resolution that is achievable and realistic. Do I make a detailed plan of achievable tasks? How can I use affirmations to help me make the right choices? Do I take action every day to bring me success with my resolutions? Goal Achievement: How to Get Astounding New Year’s Resolution Results? 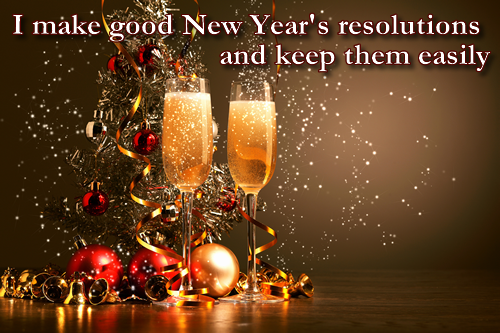 Why is it that many of us make the same resolutions every New Year’s but seldom keep them? Could it be because we’re setting unrealistic goals for ourselves that we can’t possibly achieve? This type of goal setting only serves to discourage us from striving for future goals. Instead of planning for success, we’re setting ourselves up for failure. Losing weight. How many of us make the resolution to "get in shape" or to simply "lose weight?" This isn’t a specific goal, nor does it contain any sort of measurable timeline in which to perform the task. A better solution would be to say, "I want to lose _____ pounds by _____ (date). I will do this by following these steps: (change of diet, exercise plan, etc.)." A specific goal establishes what you want to accomplish, by what time, identifies requirements and constraints, and lists benefits of reaching that goal. Spending more time with family. Another common New Year’s resolution is to spend more time with family and friends. Again, you need to have a plan to do this. Simply stating that you will spend more time with your family won’t make it happen. This may not even be a very attainable goal if you live far away from your family or can’t give up time at the office. Look at your schedule, evaluate your priorities, and make the necessary changes to free up the time you’ll need to spend the extra hours with your family. Establish exactly how many extra hours you need to make this happen. What will have to be rearranged? These are decisions you need to make to accomplish your goal. Quitting smoking. The average smoker tries to quit at least 4 times before he actually kicks the habit. Why? Because it’s easy to get discouraged when you try one method and it doesn’t work. You need to have numerous back-up plans because one product or method doesn’t work for everyone. Make sure the goals you set are realistic. Don’t expect to stop smoking in a week or maybe even a month. You’ll only become disheartened if you fail. Set reasonable goals such as, "By ___ (date) I will only smoke ____ cigarettes a day." Slowly become less dependent on them until you reach your goal. Getting out of debt. This is a resolution that requires much planning and usually involves a change of lifestyle. If you’re living in a cycle of debt, you need to plan a strategy to cut your spending dramatically, as well as pay off the debt you already have. Set specific goals such as "I will have ____ (amount) paid off by _____ (date). I will do this by cutting ____ (amount) from my spending each week." Without a reasonable timeline in place, you’ll slip back into your old habits. If your total amount of debt is large, break the debt down into smaller, more attainable goals. Pay off one credit card at a time and take pride when you get that final statement with a zero balance. Also consider talking to a financial advisor who can help you set a reasonable plan for you to follow. Resolutions take work, there’s no denying it! Simply saying that you resolve to do something is not sufficient without having a plan in place to do it. Now that you know the problem, you can stop making the same resolutions year after year! Using the S.M.A.R.T. system as a guide, you can actually attain your goals in the coming year and become a better person for it. If you have a habit of setting resolutions at the beginning of the year and then abandoning them a few days later, now is your chance to try something different. Imagine how the course of your life could change for the better if you followed through on your resolutions until you achieved your goals! It’s very possible to overcome your habit of giving up on New Year’s resolutions with a few basic tips. Above all else, avoid regarding your resolutions as something to aspire to and then forgetting them when they no longer seem pertinent or interesting. New Year’s resolutions can be extremely enriching and self-improving if you find a way to maintain them throughout the year. Make a commitment. You must be willing to make a strong commitment to change in order for your resolutions to be successful. Believe that you can, and will, accomplish what you set out to do. If you give yourself unwavering support, then you’ll bolster that belief and achieve what you seek. Choose New Year’s resolutions that you genuinely want to achieve. Make positive resolutions and focus on the positive aspects of achieving them. Tell everyone you know about your resolutions. When everyone knows what you’re setting out to achieve, they can help hold you accountable. Plan ahead rather than choosing your resolutions at the very last moment. The longer you spend planning and preparing for your resolution goals, the better the results will be. Have realistic expectations. Continued motivation is the key to achieving your goals. If you set the bar too high, then you also set yourself up for failure, which can be profoundly de-motivating for you. Aim realistically, rather than too high. Give yourself a challenge, but not so much of a challenge that you end up setting yourself up for inevitable failure. If you plan on setting similar resolutions as last year, consider first and foremost why last year’s resolutions failed. If your resolutions didn’t work last time, then determine why in order to avoid a repeat performance. Write down your goals. When you put your resolutions into writing, you make them real. You put your commitment down on paper. Put your goals where you can see them, in written form, so you won’t forget what you’re setting out to achieve this year. Plan out your goals. Articulating what you intend to achieve this year is a big part of setting resolutions, but planning how to achieve them is a completely different story. Write down a plan for each resolution that you want to achieve rather than simply hoping for the best. Give your goals flexibility. Not everything is going to work out exactly the way you planned, so be flexible in the goals that you set. Avoid allowing rigid resolutions to throw you off track if something doesn’t go quite how you planned it. Try to predict what challenges you may face, and create a contingency plan for those challenges just in case. You can keep your New Year’s resolutions if you do a little bit of planning and preparing ahead of time. Just like any goal setting process, the key is to be realistic about your goals and the challenges you may face in trying to achieve them. The more realistic and flexible you are, the more likely you’ll be to achieve your goals. Do you struggle to keep your New Year’s resolutions? More than likely, the excitement of starting a New Year wanes away and you find yourself back into your old routines. With proper motivation and the will to change, you can be the exception to this trend. The trick is to turn your optimism for the New Year into concrete actions. Once you start a routine, it becomes easier to follow through. Whether you’re making multiple resolutions or wanting to work towards one bigger goal, be sure to pick something that’s achievable within the year’s time frame. Strive for making your goals achievable so you don’t set yourself up for future failure. For example, let’s say your goal is to lose weight. Determine where you stand currently, and then give yourself a goal that can be achieved following the 1-2 pounds per week guideline. You’ll also benefit from making clear goals. Rather than saying that you want to be thinner, say how many pounds you’d like to lose. Then define the "how" as well. Are you going to follow a specific diet? How are you going to cut calories? 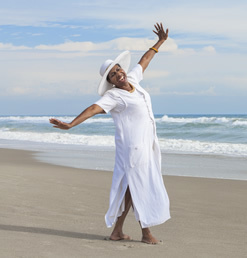 Are you going to start a moderate exercise routine? How often? 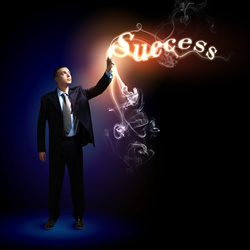 With a clear, achievable goal and a set plan of tasks you know you can complete, you virtually guarantee your success! You know exactly what you want and how you’re going to get there. All you need to do now is take action. Taking action is usually where people tend to run into some trouble. It’s easy to get pumped up about an idea, but when it comes down to executing your plan, you might be tempted to fall short. In this situation, you only need to muster up the energy to start. Tell yourself that you’re going to stick to your new plan for one week and then evaluate how it went. On the other hand, if you take everything in all at once, you’ll be less likely to begin in the first place. If it looks overwhelming, just focus on the short term. The reason you want to take baby steps at first is because once you form a new routine, it’s actually easy to hold yourself to it. Some say that it takes as little as two weeks to get a new routine engrained in your brain. For example, in the weight loss scenario, starting an exercise routine can be especially grueling if you’re out of shape. The first two days can leave you tired, sore, and weak. That doesn’t sound like fun at all! However, those first two days are the worst you’ll endure. After your routine is built, you may find that you look forward to your exercise sessions. Reward yourself often for your excellent efforts because you deserve it for working hard to change yourself for the better. You don’t need to wait until the end of the year to treat yourself. Break up your goals into smaller pieces and every time you achieve a milestone, give yourself something that you enjoy. It could be an item you’ve been wanting or maybe a night out on the town. Rewarding yourself for a job well done motivates you to keep going! After your first successful year of bettering yourself through New Year’s resolutions, you can then repeat the process and work on another aspect of your life. Before you know it, you’ll be a perfectly happy and healthy person because of your awareness, perseverance, and hard work! New Year’s resolutions can be a powerful goal-setting tool when you have specific aspirations that you’re hoping to fulfill. However, many people go about setting their resolutions incorrectly, which leads to disastrous results and disappointment along the way. 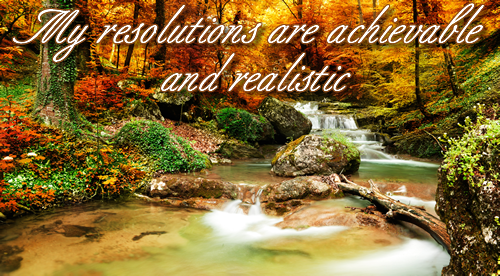 Learning effective resolution-setting strategies can ensure that, this year, you will accomplish what you set out to. Brainstorm what you want to achieve. Start by looking at what you actually want to get done this year. Do you want to improve your financial situation? Do you want to obtain a degree? You can look beyond this current year as well, if you have greater aspirations. Do you want to buy a new home in 2 years, or change careers before you turn 30? Map out the achievements you wish to accomplish. Brainstorm everything – every detail that really matters to you. Put this information down on paper so you can review it regularly. Turn these aspirations into long-term goals. Now that you know where you want to be, you can derive some measurable goals accordingly. These will be your resolutions. If you want to buy a home in two years, what can you achieve this year? An example may be to "Put $5,000 into savings towards a down payment." Break your long-term goals into monthly goals. Break each of your resolutions into specific monthly achievements. For example, if your resolution is to put $5,000 into your savings account for a down payment on a home, a monthly goal may be to put $400 away each month or $200 from each paycheck. Choose monthly goals that are easy to obtain but help you work your way toward you’re your resolution goals. Try not to set your monthly goals beyond your capabilities. Setting savings goals beyond what you can reasonably afford, for example, will not help you achieve your goal. Use the SMART system when setting your goals. These are goals that are specific, measurable, attainable, realistic, and timely. Rather than set a vague goal to "save money this year," you’ll want to have specific and measurable goals with time limits or deadlines in place. "Put $200 into my savings account every pay period this year" is a much more obtainable goal. 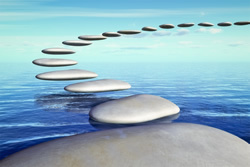 Create stepping stone goals. These are enabling goals that help you obtain your longer-term objectives. 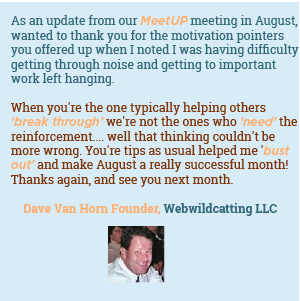 Some long-term goals lend themselves better to short-term goals than others. Following the same example resolution as before, an enabling goal may be to "Work 40 hours every week in January" or "Cut my entertainment budget by $50 in January and put this money into my savings account." Get started today. The sooner you begin to plan out your New Year’s resolutions, the sooner you’ll be able to start reaching goals and achieving objectives. Get started on your goal-setting strategy today. You can set New Year’s resolutions that drive results and you can benefit from them in each day of your year. 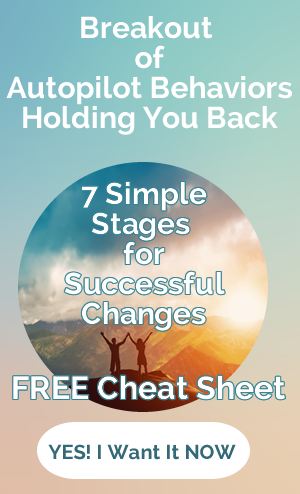 These techniques will help you get the most out of your goal setting strategy so you can attain the life you desire. You probably have goals that you hoped to achieve this year, but didn’t. This time of year, it’s natural to lament about goals you seem to have lost. Thankfully, your goals don’t have to remain mere dreams. You can take yourself from a path with unachievable goals to one with attainable targets by just changing your approach. Once you’ve committed to believing in your abilities, you can start to put things in place to actually attain what you’ve set your mind and heart on. And this holiday season is the perfect time to set that game plan. Be thankful for the year’s achievements.Even if you didn’t reach the targets you wanted, there are undoubtedly things that you did accomplish. Take a few moments to run those accomplishments through your mind and give thanks for them.Feel good about yourself. You’ve most likely achieved far more than many others! Start with a master list.Instead of just dreaming about the things you’d like to achieve in the coming year, take the time to sit down and write them on a master list.Be specific about exactly what you want and how much (make it measurable). Prioritize your goals.By the time you’re done writing, you’ll probably have a list of 20-30 goals. 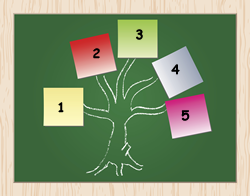 First, arrange your list in the order in which you want to achieve them and then zoom in on the top four or five. 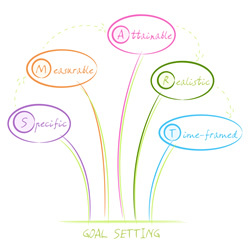 Plot and set attainable targets.Now that you’ve identified the four or five most pressing goals, plot out attainable sub-targets for each of these goals and give yourself a timeline to achieve each step. Remember that the best way to achieve mammoth goals is to break them down into smaller pieces that you know you can achieve. Now, you know it’s attainable because you’ve figured out how to achieve each step. It’s only a matter of completing each step, one by one. Once you complete your last step, you’ve achieved your big goal! Plan to give yourself a small reward when you’ve successfully conquered each phase of the master plan. Reaffirm your commitment.As the old year is winding down, make some time to read through your list and reaffirm your commitment to achieving these goals in the coming year. With each goal, start by saying, "I reaffirm my commitment to …" and read the details of the goal from beginning to end. By reaffirming your commitment, you officially vow to do what is necessary to achieve the goals, which is a much better place than you were at the start of this year. Commit, also, to actively finding solutions to overcome any challenges that may crop up. When you mentally prepare yourself ahead of time for challenges, they’re not such a shock, and you can focus on solving any constraints and continue moving forward. Now that you’ve changed your approach, you can expect to see a much-improved outcome with each goal you’ve set for yourself. Go get ’em! I make good New Year’s resolutions and keep them easily. Each New Year, I make resolutions that bring me joy and add value to my future. Because I make resolutions that matter to me, I keep them very easily. All of my New Year’s resolutions contribute to significant improvements in my life. I commit to things that improve me as a person and increase my joy. I take my New Year’s resolution seriously. They are a great catalyst for positive change. I am always looking for ways to improve. Making resolutions is a great way to work toward being a better person. I am highly valuable and I know I can do even more good in the world by setting goals. I see a New Year’s resolution as a goal that I can and will reach. Some of these are for my improvement and some of them will benefit others. All of my resolutions have merit and value. They all work to bring out the best in me and in others. I keep my resolutions because I see the importance they have to the world. Change comes easily for me. I change because I enjoy improving my life. Since I have a good, clear goal, it is much easier to determine what steps to take. I meet my goals and resolutions because I stay focused on the value that they bring to me. Today, I make and keep important New Year’s resolutions. How can I make New Year’s resolutions that are really important to me? What can I do to ensure I keep my New Year’s resolutions? How can I feel more comfortable with change?